On April 29th we are joining with thousands of others around the country at the People’s Climate March in Washington, DC to take action as citizens, urging our political leaders to take action on climate change, and as followers of Christ, as Catholics, standing up for creation, for the people who will be most harmed by climate change, and for future generations. This toolkit will help you organize for the People’s Climate March, bringing together others from your church or larger community. This can include leading a group from your parish to the March, sharing invitations with the community, and asking your parish to pray for you and the other Marchers so that those who cannot physically attend can still be in solidarity with you and others who are. Step one is letting us know that you’ll attend the March! 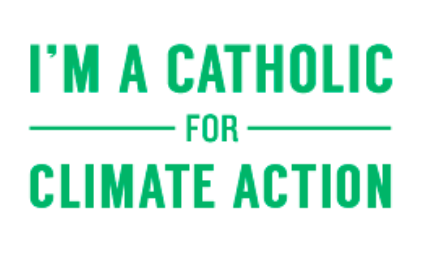 If you haven’t done so yet, be sure to register at the Global Catholic Climate Movement. If possible, connect with other Catholics in the area. Some areas already have “Catholic leads” helping to organize the groups, who can help you make a plan for how to attend. Check with Marisa Vertrees to see if there’s a lead nearby. And if your area doesn’t have one, you can register to be a Lead yourself and help organize others. There are many buses and carpools already scheduled, and more information can be found at the People’s Climate March page. If you don’t see a bus in your area, please contact Marisa Vertrees, [email protected], and we can see if other organizations have one, or help you set one up. Think of who might be interested. Does your parish have a green team or social justice team? Are there other active parishes in the area who do? Reach out and invite them to come along. Share on your social media and ask your friends to join you. And talk to your pastor to let him know that you’re coming, and see if he would be willing to invite others—or come himself. Our scripts are in the resources section. Personal invitations are often the most effective, but it’s also helpful to advertise what you’re doing and invite the rest of the parish. You can find samples of bulletin and pulpit announcements here, as well as a downloadable and editable flyer. You can also promote on social media by using some of these images here. 4) Set up an event. You can set up a Facebook event to register when and where you are gathering to attend the March, whether this is by bus, carpool or, for local parishes, taking the metro in. If you let us know about the event, we can highlight it on our map as well. You can download our signs and banners as well as printable stickers (hint: print them on sheets of large self stick shipping labels, Avery 5164, 6 per sheet). Or feel free to host a sign making party and see what your group comes up with! Join us on April 29th! There is a Catholic Mass at St. Dominic’s, at Washington, DC, at 9:00am. After this, we’ll gather in the faith contingent at 3rd Street NW/SW, south of Constitution Avenue. You can view the full March schedule here. Let us know how your experience at the March went. And, even more important, let your parish know. Talk to your priest about the possibility of sharing with your parish how the March was, and why you participated, after Mass. See if they’d be interested in starting a Green Team. And tell Marisa Vertrees if you’d be interested in starting a Global Catholic Climate Movement chapter in your diocese.